We enjoy a world-class reputation for expertise in clean rooms and controlled environment room design and construction. We have been involved in the supply of countless clean rooms and environmental test chambers over the years (some very high profile) and have worked within every sector of industry that requires these specialist facilities. Our clean rooms have been installed in many countries around the world, across Europe and the Middle East through to North America and parts of Central America and Africa. Our commercial and industrial panels are used in the construction along with special windows and doors. Typical examples of this kind of clean room application include silicon chip manufacturing, electronic component production, medical and pharmaceutical product development including cosmetics and food production. We have provided clean room solutions and chambers with environment control for many blue chip companies including IBM, Siemens, Procter & Gamble and AstraZeneca. 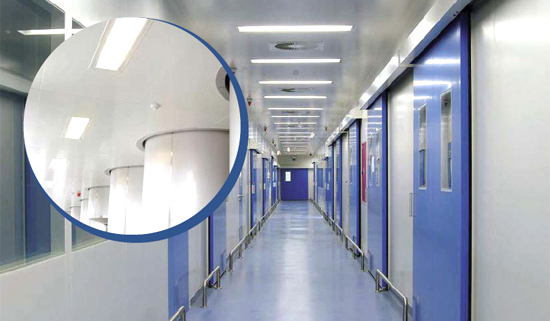 Our clean room construction and design products encompass clean room wall systems, ceiling systems, door systems, window systems (all flush or semi-flush), light fixtures and a range of clean room accessories. Please contact us if you would like further information on how we can help with your clean room requirement. Our Technical Director Allen Strange will be happy to give you the benefit of his many years of experience in clean room design and construction.